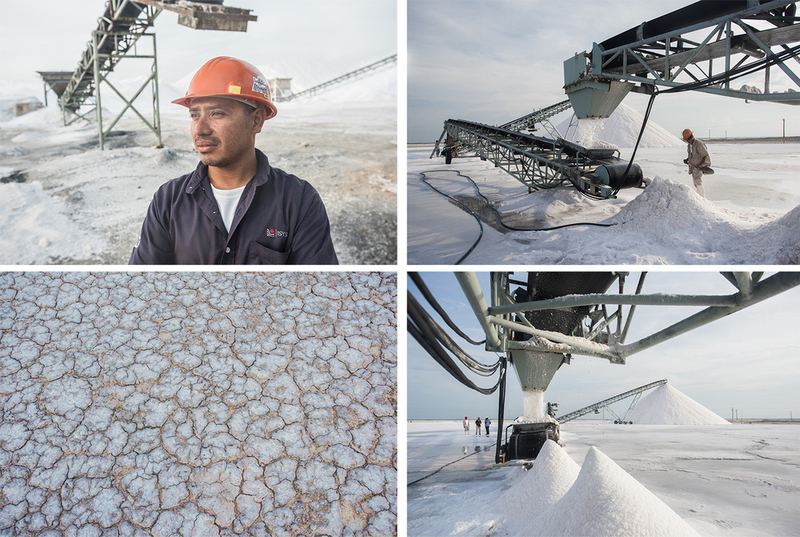 We passed a few of these, salt is dried in the sun and then harvested from 100s of acres of open mines to be processed for exportation to the US and Europe. There are various varieties of purity from the stuff we put on the roads to the salt we eat. Mountains of salt wait to be loaded into the plant by JCB, via a long conveyor on wheels, where workers in hard-hats load it into sacks. The salt seemed to get everywhere, stung my eyes and encrusted my camera in a layer of white which can't have done it any good. Sunglasses are mandatory for all employees.